Curtis Jackson aka “50 Cent” coauthored a book on the topic of fearlessness called “The 50th Law.” It’s ten lessons for life that are extremely powerful. Intense Realism is the first lesson. It speaks of our inability to accept reality for what it is and a desire for things to be different. There is more pain in resistance to change when compared to the pain of accepting what is. Not accepting life for what it is, leaves us disempowered for the next step of healing. Too often we talk of acceptance as this ideal that seems to be out of reach for many. There is a middle step to full acceptance. Acceptance without approval is the ability to say, “I don’t like it, but I won’t live in denial of it being true.” We needn’t agree with circumstances or people to accept them. Acceptance can be an extremely freeing experience for us. 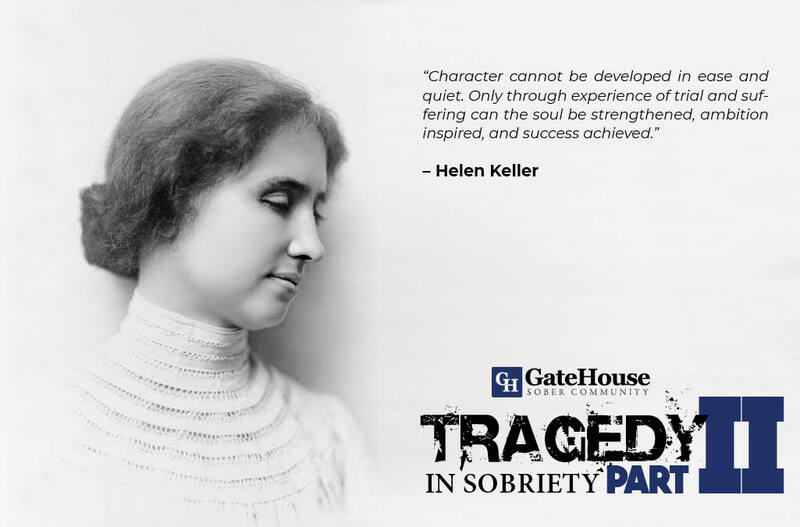 That’s probably why page 417 of the Big Book of Alcoholics Anonymous is referenced so often by those in recovery. No different than when we first heard our stories in a meeting and found a shred of hope because we knew we were not alone. Seek others who have survived similar tragedies and found a way through them. When I received my diagnosis, I sought out terminally ill people in recovery that were living happy and productive lives and asked them how they were doing it. That is a reason why the fellowship can help us; we are never alone in what we are going through. Their experience and advice were different than all the others who sought to comfort me because they were coming from a different place. It’s one thing to seek out those who have been through similar tragedies in their life and found a working solution or process. It’s entirely different to build a relationship with them and benefit from their experience on a regular basis. It’s the same as sponsorship. Nothing beats the power of an example. Then, of course, there are the common “5 stages of Grief” outlined in a Psychology Today article. They too are universal for the stages of healing during trauma. “ Elizabeth Kubler-Ross, MD, in her groundbreaking book On Death and Dying (1969), she outlined the phases of grieving experienced when one learns that they are dying. Her stages have since been aptly used to describe the process of grieving the death of a loved one. A similar thing happens when grieving the end of a relationship. When dealing with tragedy, we can learn a lot about ourselves. It isn’t an easy process nor a comfortable one, but it gives us a chance to grow, as a person and in our recovery. We can’t circumvent our suffering that’s what we tried to do for so long while in active addiction. We can face our pain and learn from it when we go through struggles we grow. Just as we have can turn to others for their experience, strength and hope we can give that to the next person once we have gone through a tragedy.